One of the greatest challenges faced by any supplier is how to maximise their sales potential. Having a large inventory of your own is one thing, but constantly reaching new agents and establishing a sizable, consistent audience is another. So, whether you are a supplier of hotels, flights or transfers, Travel Boutique Online can help you build, and further expand, your audience - reaching out to travel agents that might not otherwise see what you have to offer. Travel Boutique Online's innovative and technologically robust platform enables suppliers across the globe to reach a vast number of agents throughout the Indian subcontinent. 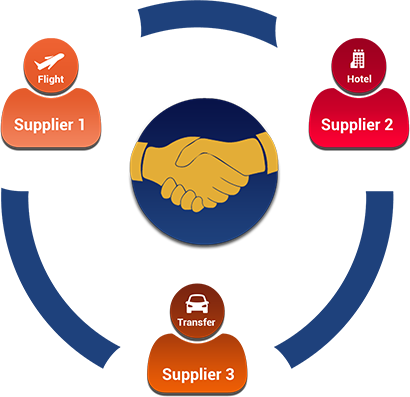 We service over 45,000 travel agents in India alone and have more than 40 international suppliers integrated into our platform at the current time.